Flickering Light Bulbs have a delicate ORANGE Flame-Like Glow that Flickers and Dances Up and Down the Flame-Shaped Filament. 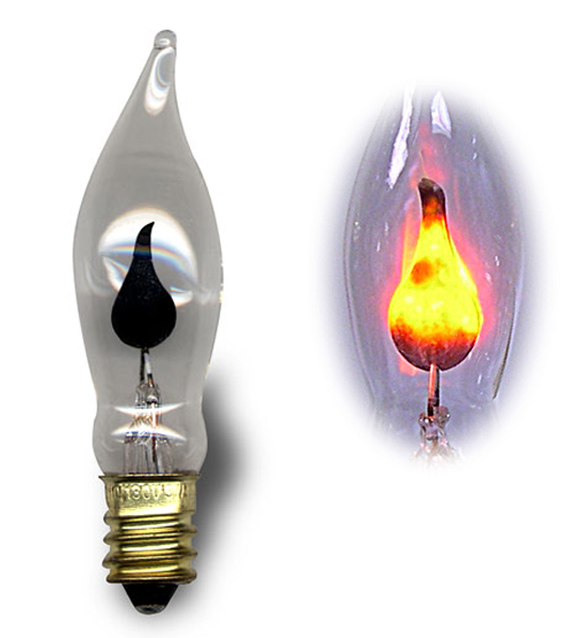 Flicker Flame Light Bulbs are especially suitable for welcome lights and electric candles. 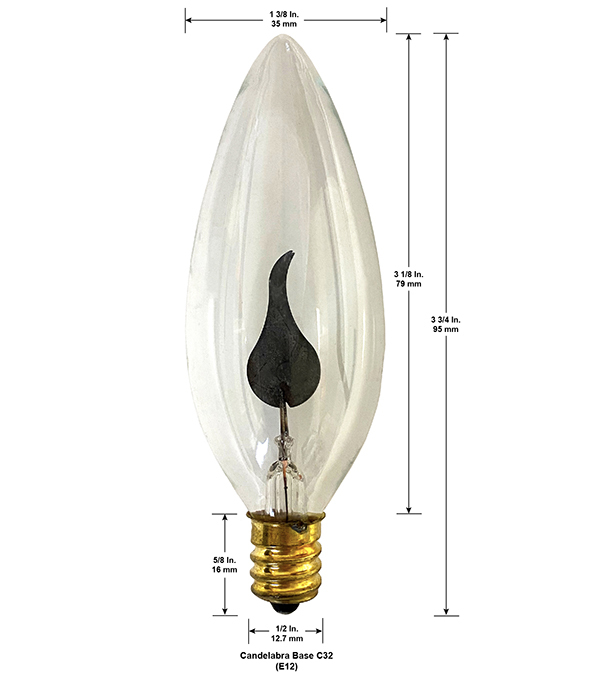 To determine length of glass portion of bulbs deduct approx. 9/16" from overall lengths listed below. IMPORTANT: These bulbs provide a soft orange glow which is for decorative purposes only. 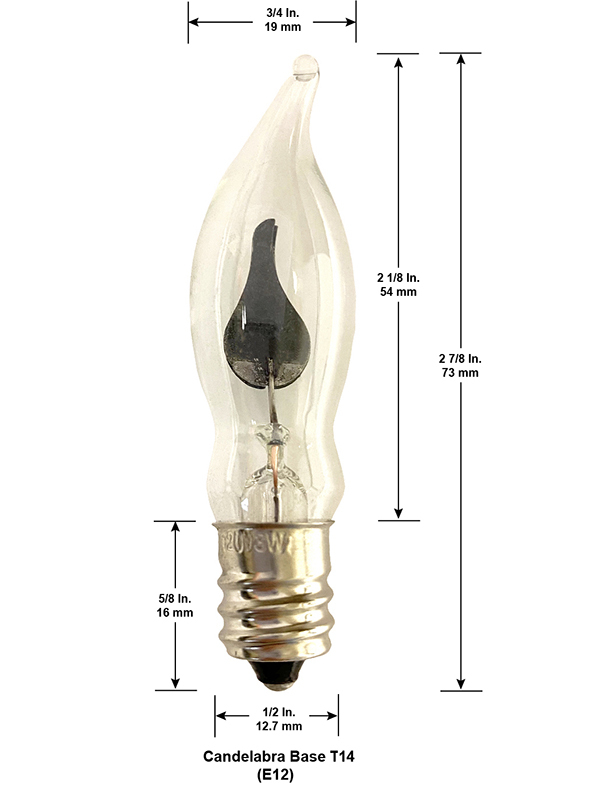 These bulbs are not intended to be a functional source of illumination. 2-1/8"L overall not including tip. 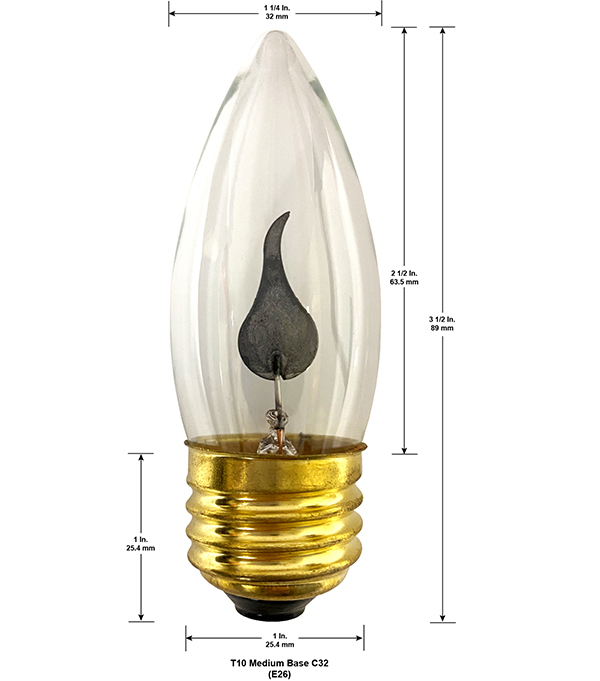 FLICKER FLAME Light Bulb with Medium (Edison) base. 3 Watt Clear. 2-5/8"H x 1-1/4" diameter - not including base. Available individually boxed or in Carton of 25.